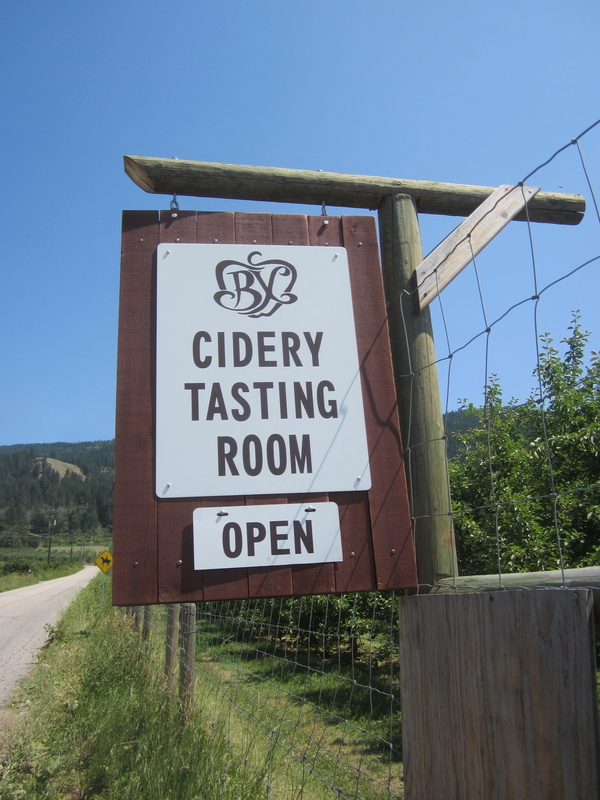 Opened in 2013 by a third generation apple orchard family, I personally find this establishment to be a breath of fresh air in a town so one dimensionally oriented towards Okanagan Spring Brewery. While Penticton/Naramata, a town of similar size, boasts 4 breweries, 2 distilleries, 1 cidery, and dozens of wineries, Vernon lags behind. 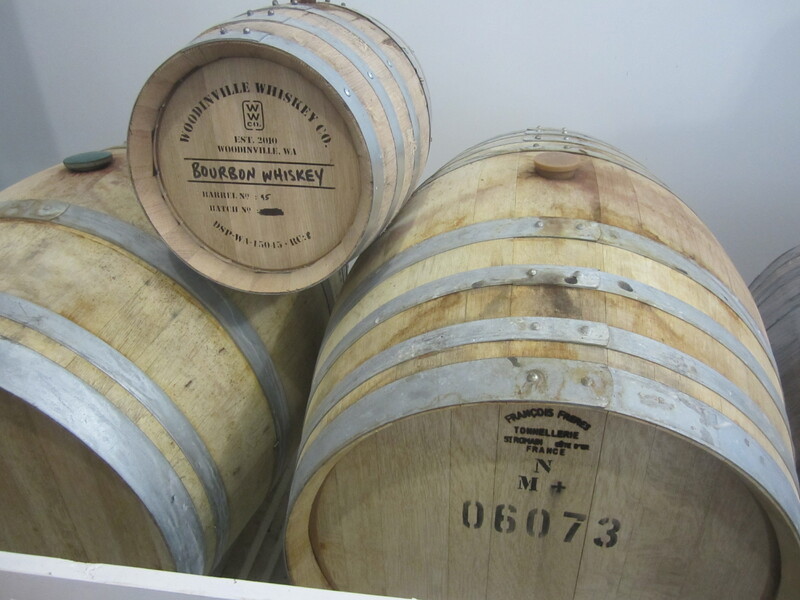 Thankfully that is slowly changing with the arrival of Okanagan Spirits, and now the BX Cidery! 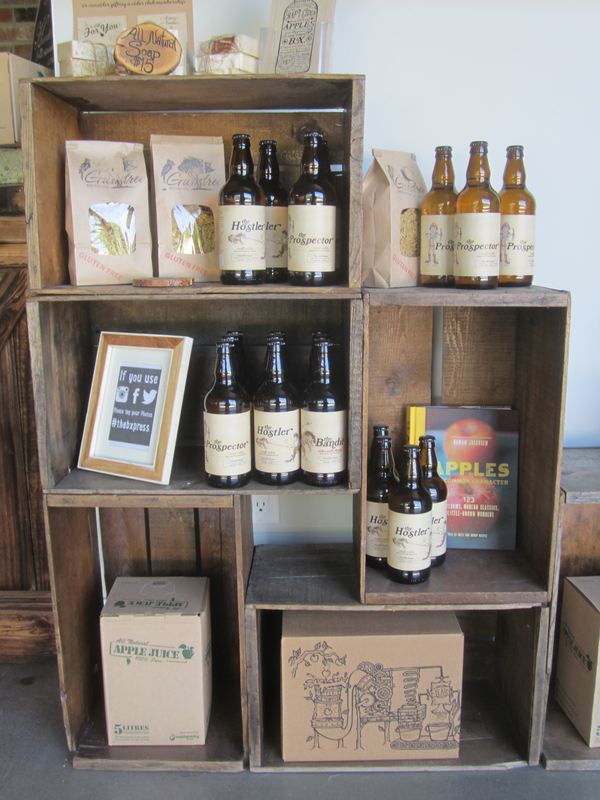 Located on a verdant apple orchard in the scenic BX region of Vernon, this young cidery is full of life and potential. With 40 acres, growing over two dozen different varieties of apples, the cider makers have a lot of potential variety for each fresh batch. In the past month I have made a few trips to the BX Cidery. 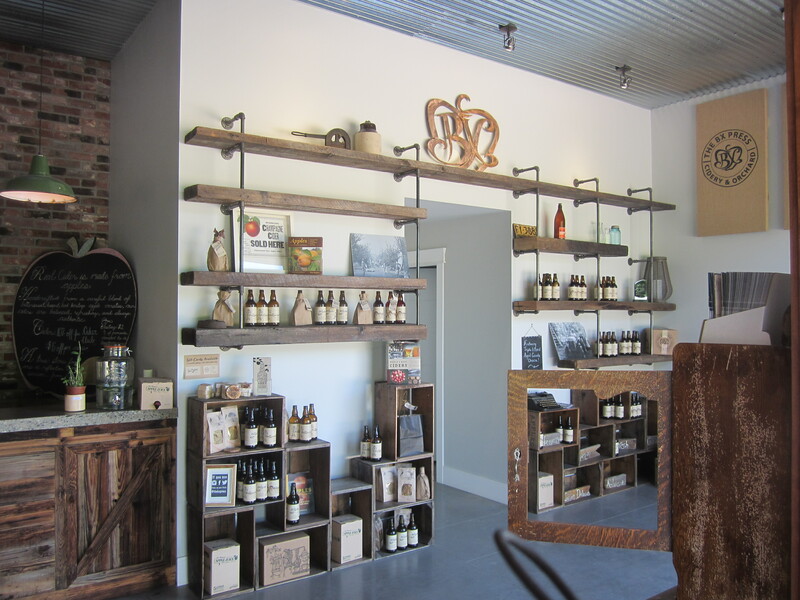 The tasting room is located in a brand new shop at the edge of the orchard, and the fermentation vessels are housed in the back room. 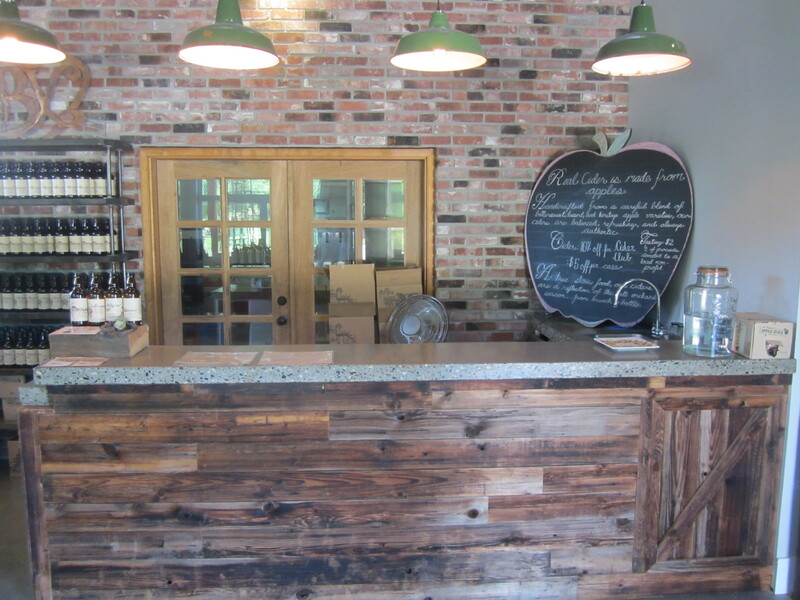 Each time I arrived, I was greeted by a friendly face and the offer of doing a tasting. At $2, a tasting is an absolute bargain, and half the money goes to a rotating local charity. Often paired with local cheeses, the ciders on offer vary with the season. So far I have tried 4 different ones. Each cider has a name that relates to the local history of the BX Ranch/Stagecoach and comes with a story and some tasting notes. I highly recommend a visit and a tasting at the cidery for locals and to those of you passing through the area. The Prospector: The most English of their ciders, it makes for a great aperitif with its tartness and dryness. The Hostler: Made predominantly with common eating apples (Macintosh, Gala etc.) this refreshing “cocktail” cider is good on its own, or when used as a base for other drinks. 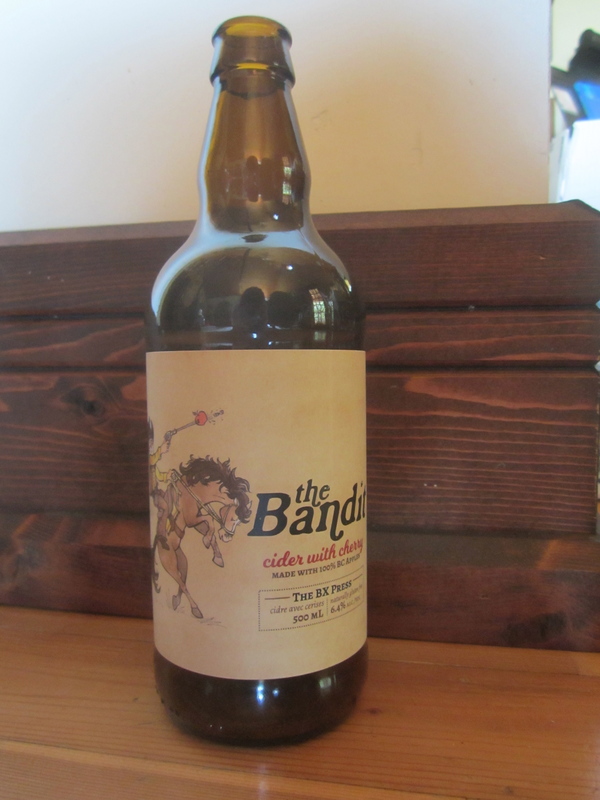 The Bandit: Essentially the Hostler with local cherry juice blended in at the bottling stage, this interesting cider prompted me to take down proper tasting notes at home over a fuller glass. The Crackwhip: Another variation of the Hostler, this one has been dry hopped with organic Chinook, Centennial, and Cascade hops from Lillooet to add a refreshing hint of hop flavour without turning it into some sort of IPA/Cider monstrosity. Very good. Get it while you can! My second tasting at the cidery was undertaken as a means to show off our local products to my visiting friend from Newfoundland. 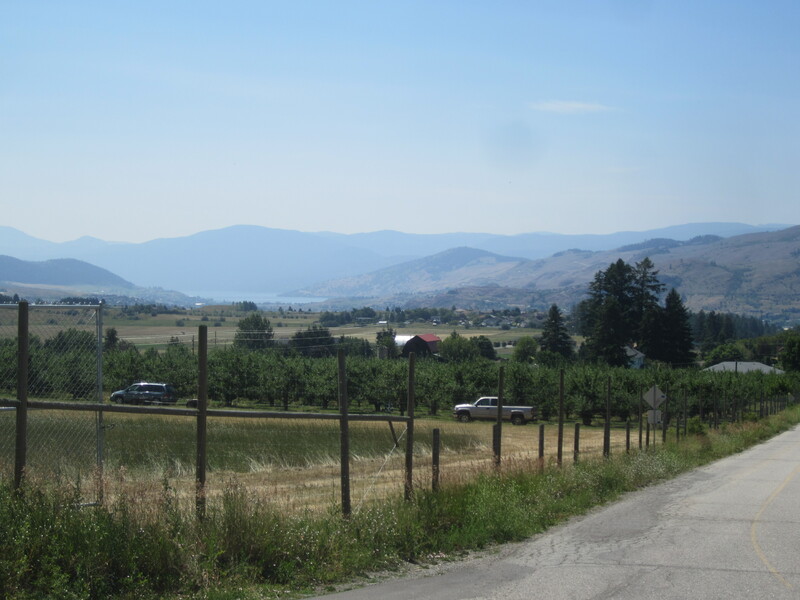 I knew that James would enjoy the beautiful scenery of the BX region, and find the ciders a refreshing drink after playing tennis in the hot Okanagan sun. After a tasting of all of the above, we purchased several bottles and headed home to fully inspect the contents. We recorded detailed tasting notes for one of them. Appearance: similar colour to a rosee, soft head of small bubbles, some minor sediment on the bottom. Nose: reminiscent of a dry white wine, with hints of cherries and sweet apples. Palate: a nice tart cherry flavour envelopes the tongue, minor carbonation and apple taste throughout the mouth. Finish: clear cherry juice flavour followed by a hint of dry apple cider. A glimpse of exciting ciders to come? I forgot to mention the Meadery at Planet Bee!